As you may already know, Brita and I are always looking for reasons/events to exchange little presents. 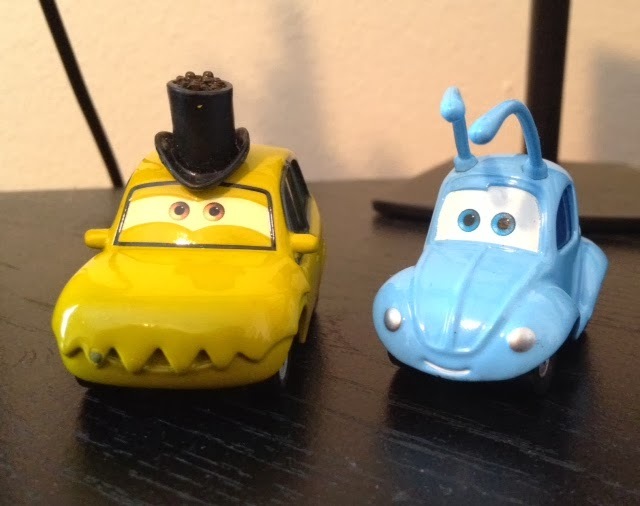 Yesterday, I got a "back to school" present which is something I've been looking to get for year now-the Cars Movie Moments 2-pack of P.T. 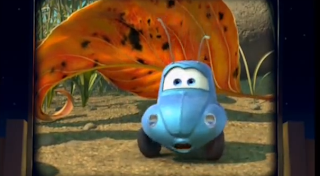 Flea and Flik! These cars are, as always, 1:55 scale diecasts from Mattel. 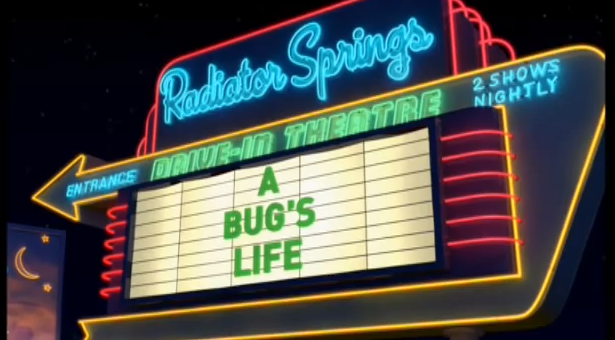 One of the funniest and most creative scenes in Cars is during the end credits when the cars are parked at the Radiator Springs Drive-In Theater. 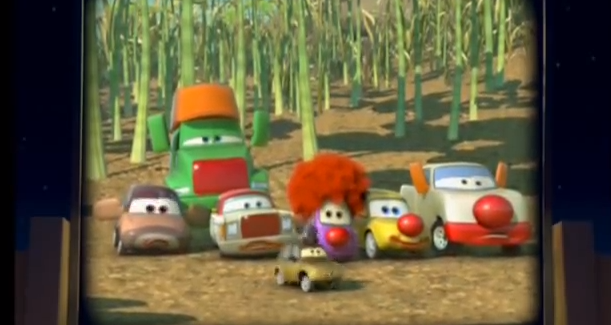 There we see many of our favorite Pixar characters in car form such as Buzz, Woody, Hamm, Mike, Sulley, the Yeti, PT Flea, Flik and the "circus cars" (as seen in the screen shots from the film above). 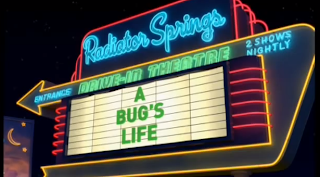 The scene is hilarious because it pokes fun at how actor John Ratzenberger has had a cameo in every single Pixar film. The scene can be watched here. Never gets old! 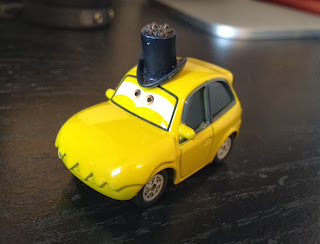 I absolutely love the design of these diecasts...they were worth the wait! 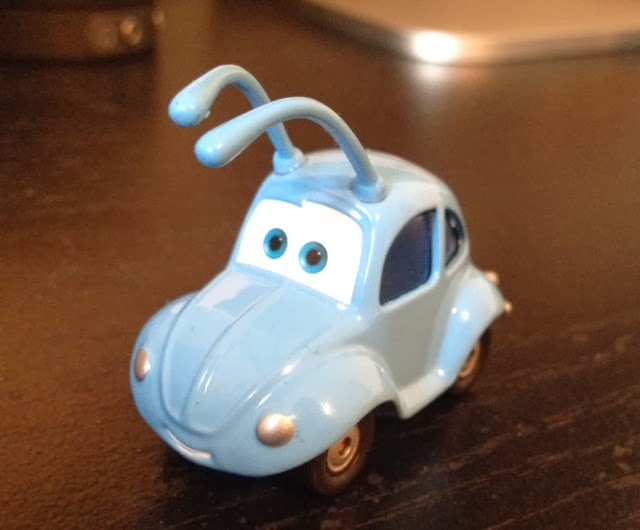 Mattel always does a fantastic job with the quality of their cars. I'm never disappointed. 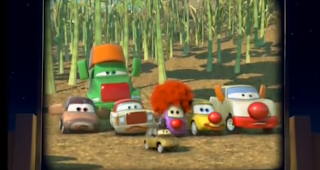 The last cars from this scene are being released later this year as "Super Chases"-The Circus Cars! It looks like 5 out of 6 have been revealed so far...I'm hoping they'll make that last one as well! I'm really looking forward to those releases. 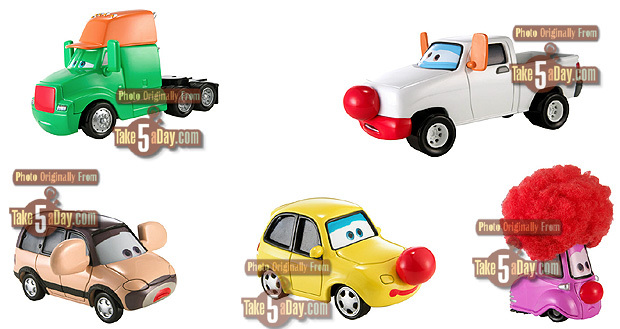 And of course a BIG thanks to Brita for hooking me up with these long sought after cars!